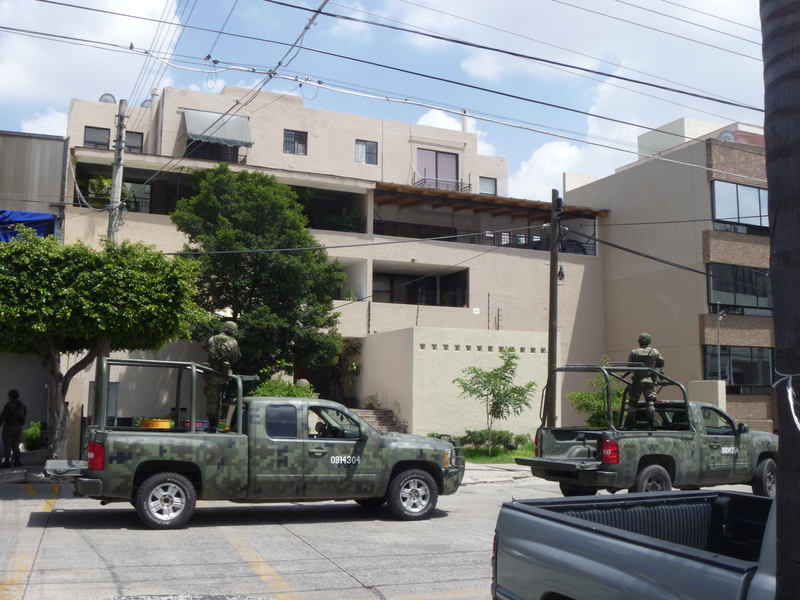 A military raid on a Cartel de Jalisco Nueva Generación safe house in Guadalajara in 2012. Cartel gunmen ambushed a state police convoy on a remote stretch of highway in Jalisco on Monday, killing fifteen police officers in the most recent bloody incident to rock the western region of Mexico. Authorities blamed the ambush on Cartel de Jalisco Nueva Generación, a criminal group that is little known outside western Mexico but which some observers say may be among the country’s most powerful — and deadly — drug cartels today. Jalisco public security commissioner Alejandro Solorio denounced the ambush as a “cowardly attack,” which occurred in the municipality of San Sebastián del Oeste, a rugged area between the tourist port of Puerto Vallarta and the state capital Guadalajara. The assailants, who had blocked the highway with burning vehicles to prevent reinforcements from arriving, also shot at the state officers with grenade launchers. They reportedly escaped without suffering casualties. One female officer was among those killed and five other police were hospitalized with injuries. Nueva Generación — or New Generation — is just five years old and has been largely overshadowed by Mexico’s more infamous cartels in the country’s soaring drug violence, such as the Zetas and the Knights Templar. This is the first in a two-part series on the Jalisco New Generation Cartel that I’ve been working on with Mexican journalist Víctor Hugo Ornelas for VICE News. Click here to read part one in full.